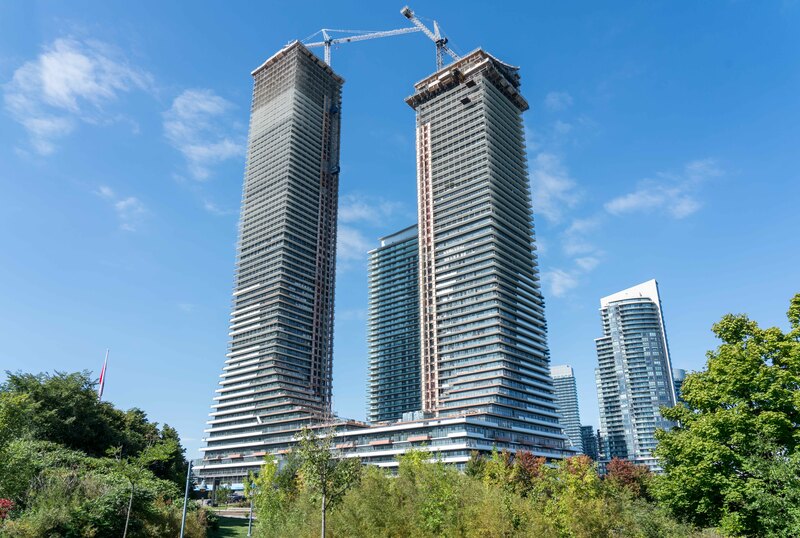 At 63- and 49- storeys high, the towers of Eau du Soleil Condos have become the centrepiece of the Humber Bay skyline. The ambitious master-planned community by Empire Communities will house approximately 55,000 square feet of retail space, over 40,000 square feet of amenities and a total of 1,280 units split between the Water Tower, Sky Tower and the podium. 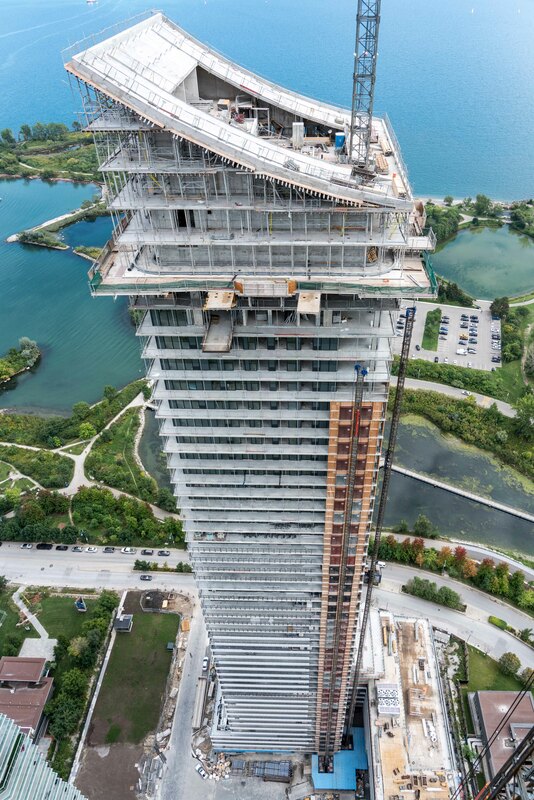 Construction at Eau du Soleil began in 2015 and in the three years since, the development has quickly eclipsed the neighbouring skyscrapers, offering stunning views of Humber Bay, downtown Toronto and Mississauga. 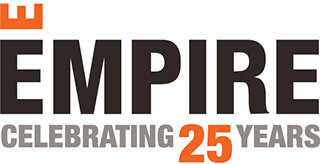 To celebrate the construction milestone Empire hosted a special luncheon and rooftop tour last week with company executives, staff and trade partners. The busy construction site sees about 350 workers and trades every day as it moves closer to its 2019 completion date. Water Tower has already topped off with its distinct curved roof clearly visible, while Sky Tower isn’t far behind. The group was welcomed with a champagne toast and sweeping views of the city as they ventured up to the 60th floor of the taller Sky Tower. Priced from the high $600,000s, only a handful of units are still available ranging in size from 634 square feet to 1,143 square feet. These include a few terrace suites and upper penthouse units. A grand 3,500 square foot super penthouse will also be available but hasn’t been released yet. 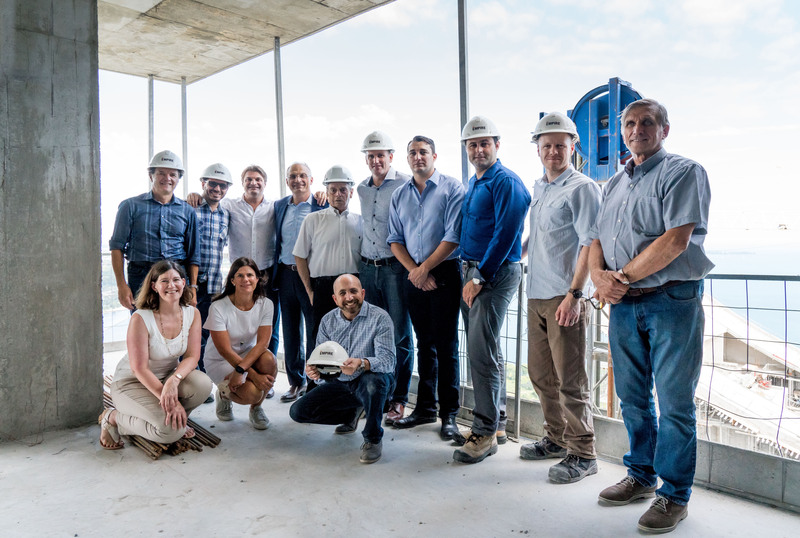 The project’s next major milestone is the start of pre-delivery inspections with homebuyers scheduled for October, followed by the first occupancies in February. All homes are expected to be fully occupied by February 2020. When complete, residents will have access to an impressive array of resort-like amenities, including a spa-inspired indoor saltwater pool and hot tub, an elegant party room with kitchen and an exclusive multipurpose sky court and water lounge. 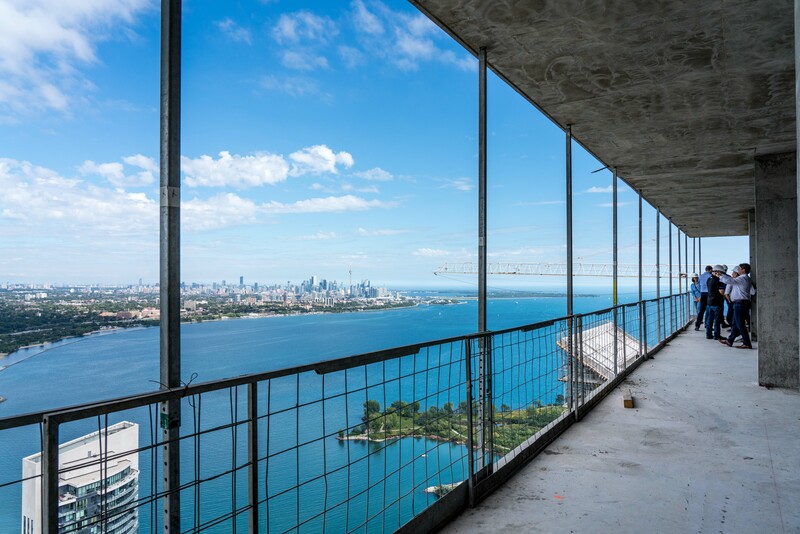 There’s also a modern strength training zone, mixed martial arts room, car wash area and a seventh floor infinity terrace overlooking the lake. Retail spaces will take up the first three floors of the podium and is expected to include two restaurants. While the tenants haven’t been announced yet, homebuyers can expect a mix of Mexican fusion and Indian/Middle Eastern cuisine.